When the snow and ice starts accumulating, you may want to think twice about throwing down the rock salt. Salts dissolve the surface of melted snow and ice and help keep us safer from slip and falls, but contact with paw pads can cause skin to dry and crack, and can cause irritation. 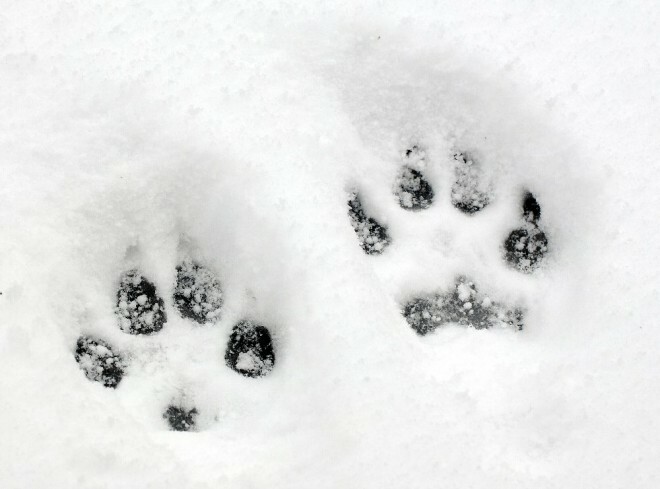 Worse than skin irritation, ingesting (eating or licking) rock salt directly or off paws or from melted puddles of snow can cause major issues. Salts can irritate the stomach, leading to vomiting, diarrhea, and GI discomfort. In large amounts, salts can cause neurological issues such as seizures, lethargy, disorientation, and death in extreme cases. · If you have dogs at home, indoor/outdoor cats or rabbits, avoid the use of rock salt for snow if they will be exposed, if possible. Reserve its use for areas which are icy and pets will not frequent. · Inside the house, keep salts out of pet’s reach, in a closed container. · After coming back in the house, wipe their paws with a clean, damp towel to reduce their exposure. Keep a close eye on their paw pads to ensure they aren’t cracking or having any areas of irritation. · Local pet stores do sell dog boots to wear outside to reduce their exposure. · Prevent your pet from drinking from puddles of melted snow or eating snow where rock salt may have been used. · You could also apply petroleum jelly to the base of the paw pads to act as a barrier to the salt. · Next time you buy an ice melting product, consider using a ‘pet-safe’ product. Many products with a ‘pet-safe’ label have not actually been tested. Most veterinarians will recommend SafePaw, an amide-based product which is said to be safer than rock salt for dogs and cats, it is available at many stores. · Shovel your driveway and walkways often to reduce ice accumulation. Use sand or kitty litter for traction instead of rock salt. Keep yourself and your pets safe this winter season. Happy Holidays from South Windsor Animal Hospital!